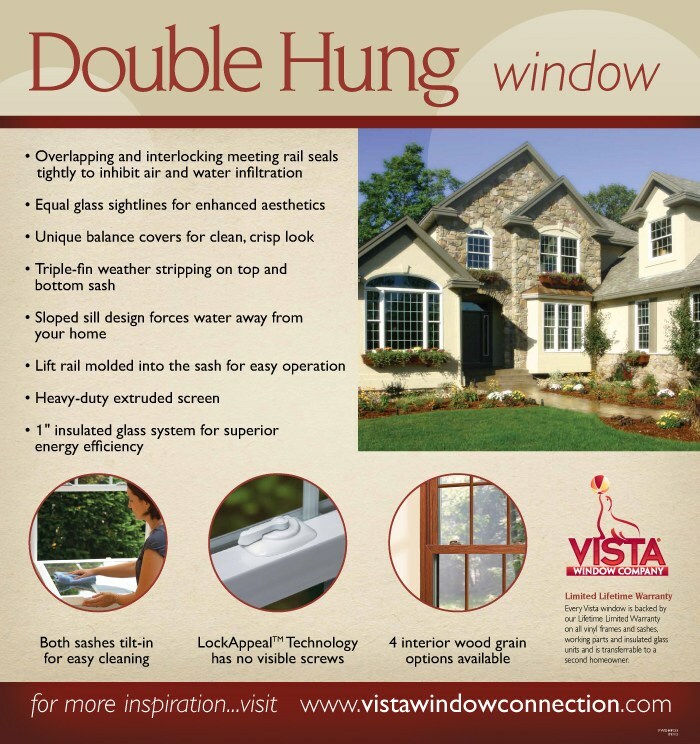 Energywise Windows offers Austin homeowners double hung vinyl replacement windows by Vista. Some of the benefits to installing these energy efficient windows include the overlapping and interlocking meeting rail that seals tightly to inhibit air and water infiltration, the equal glass sightlines for enhance aesthetics, the unique balance covers for a clean, crisp look, and the triple-fin weather stripping on top and bottom sash. 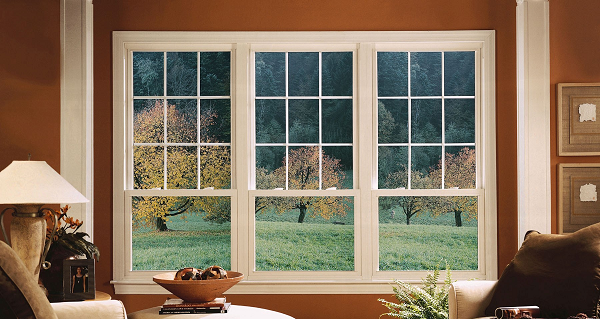 These double hung vinyl windows also provide a sloped sill design that forces water away from your home, a lift rail molded into the sash for easy operation, a heavy-duty extruded screen, and a one inch insulated window glass system for superior energy efficiency.